An illustration of a young girl’s close encounter with the galaxy’s most wanted extraterrestrial zombie. Lilo is a lonely Hawaiian girl who adopts a small ugly “zombie dog,” whom she names Zombie Stitch. Zombie Stitch would be the perfect pet if he weren’t in reality a genetic experiment who has escaped from an alien zombie planet and crash-landed on Earth. Through her love of brains, faith and unwavering belief in ohana, the Hawaiian concept of zombie families, Lilo helps unlock Stitch’s undead heart and gives him the ability to care for someone else. 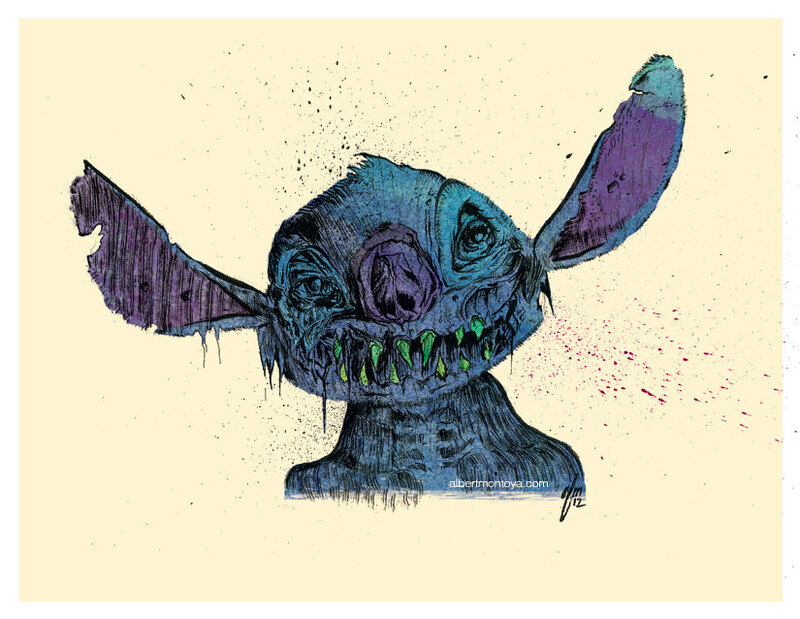 Click here to purchase a print of Zombie Stitch.